Mr. Bradley is our founding chair. 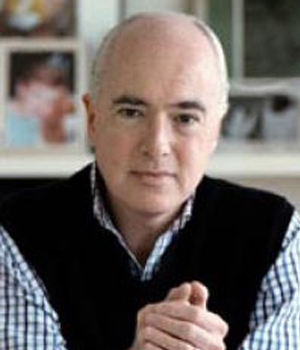 The Philippine Tatler hailed him as the “American champion against Filipino child abuse.” He is the chairman and owner of Atlantic Media, a Washington-DC based publishing company with an extensive reach among leaders across all sectors. The Atlantic, Government Executive, National Journal, Quartz, and Defense One are among the brands under Atlantic Media that engages an influential audience of over 30 million worldwide each month. 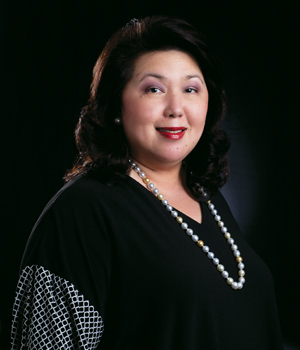 Irene is the Managing Director and Publisher of the Philippine Tatler, the country’s most trusted and enduring high-society and luxury-lifestyle magazine. 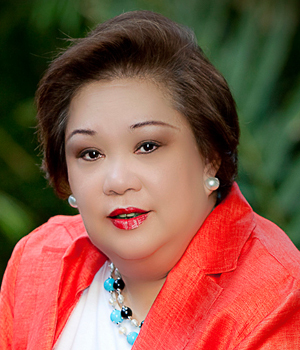 Prior to joining Tatler in 2002 and up to the present, Irene holds the position of Senior Vice President for Tourist Trade & Travel Corporation and President of Irmar Food System Inc.. She also holds several director and trustee positions in other civic and charitable organizations. 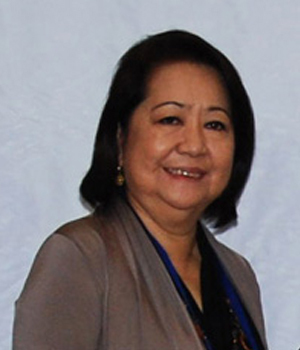 Ms. Angeles is the Vice Chairman of the Board and the Treasurer of Concepcion Industrial Corporation. 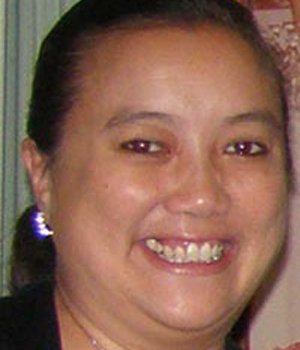 She is concurrently the Vice-Chairman and Corporate Secretary of Concepcion Durables, Inc.; Director of Concepcion-Carrier Air Conditioning; Corporate Secretary of Contel Communications; Director of the joint venture company between Ayala Land, Inc. and Concepcion Industries, Inc.; Corporate Secretary of Republic Commodities Corporation; and Executive Vice President and Corporate Secretary of Concepcion Industries, Inc.. Known for her excellent fashion sense, Mia Borromeo is a successful retail marketing expert, a sought after fashion consultant, and a respected writer. She is the editor-at-large of the Philippine Tatler, and editor of Tatler Homes and Tatler Traveller. She also serves in her parish ministry. Public civil servant, academician, advocate, artist are just some of the words to describe Karina Constantino-David. Her government service include, among others, being one of the Trustees of the Government Service Insurance System, Chairperson of both the Civil Service Commission and Career Executive Service Board, and Secretary of Housing and Chairperson of the Housing and Urban Development Coordinating Council. 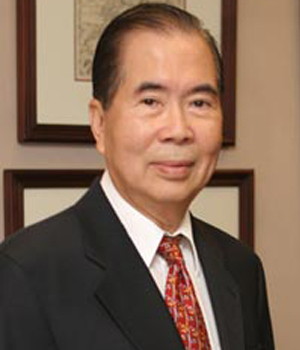 With more than 40 years experience in the banking industry, Mr. Go now sits as the Vice Chairman of the Board of CTBC Bank (Philippines) Corp., previously named Chinatrust Philippines which he founded in 1995. He holds various positions in other institutions, among others, Chairman of Investors Securities, Inc. and Gama Enterprises, Inc.; Chairman and President of Big Blue Realty Corporation; and President of Serico, Inc.
Lizzy is known for her big heart and compassion. From raising scholarship funds for deserving students to managing relief goods operations during natural calamities such as Ondoy and Pepeng typhoons to raising donations for construction of houses for the poor, name the cause and one will find Lizzy right in the middle of it. She went to college in St. Louis University in Madrid and graduated from the University of the Philippines with a degree in Broadcast Journalism. 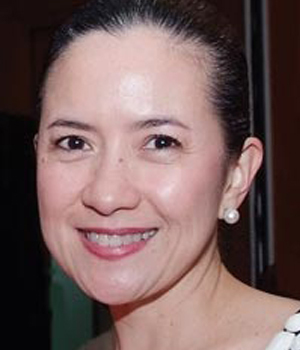 Lizzy is a devoted mother of two and a supportive spouse to Enrique Razon, Chairman of the International Container Terminal Services Inc., a corporation that runs and operates several container ports all over the world. 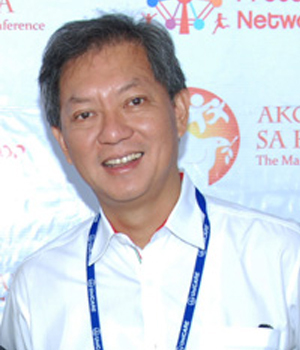 Trustee: Julio “Jun” Dy Sy, Jr.
Jun is the founder and President of Tao Corporation, a Filipino company engaged in Health and Wellness, Consumer Goods distribution and marketing, Resources, and Financial Services for the Unbanked. 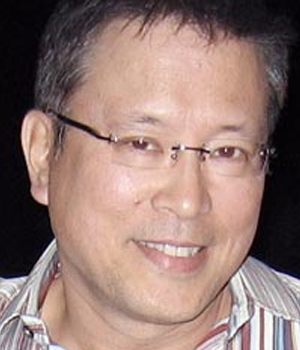 He is also an advocate of Filipino music as founder of 7101 Music Nation, an organization dedicated to the development of programs and platforms that discovers and enhances local artistry in music. 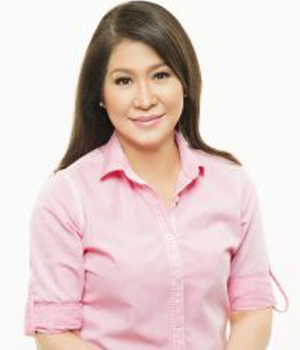 Mons is one of the founders and vice-chair of Pink for Life Foundation, a foundation that assists in treating patients with stage 1 and 2 breast cancer. Aside from writing a column for the Philippine Star, she regularly organizes livelihood seminars, medical missions, feeding programs, and other projects aimed at women empowerment in Pasig City thru her NGO, the Responsableng Pasigueno. Mr. Velasquez is the President and Director of PRC Magma Energy Resources, Inc.; Chairman of Solegy LLC, New York; and President and Chief Executive Officer of Paz Memorial Services, Inc.. A product of Stanford University Graduate School of Business, Mr. Velazquez has worked with Pilipino Telephone (PILTEL) Corporation as Chief Financial Officer; Philippine Long Distance Telephone (PLDT) Company as Special Assistant to the President; Equitable PCI Bank as Vice President; and J. P. Morgan, New York as Assistant Vice President of the International Financial Management. He is also the vocalist of the multi-awarded music band, The Spirit of ’67. Justice Melencio-Herrera is a granddaughter of the first Philippine President, Gen. Emilio Aguinaldo. 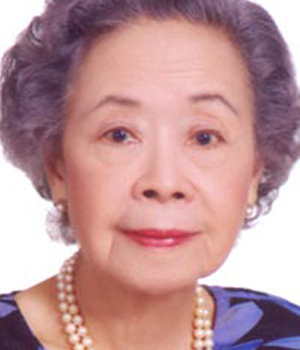 She is a retired Senior Associate Justice of the Philippine Supreme Court, the second woman appointed to the High Court, and the founding Chancellor Emeritus of the Philippine Judicial Academy (PHILJA), a training school for justices, judges, court personnel, lawyers, and aspirants to judicial posts.